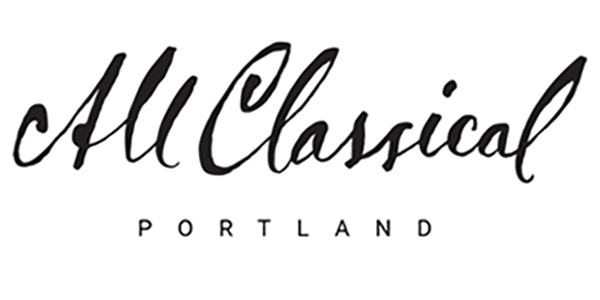 As a contributor to All Classical Portland, you are entitled to a number of discounts at local businesses and organizations. The discounts listed below may change or may not be available for all events. Please call the sponsoring organization in advance to confirm availability. If you would like your business or organization to be included in our benefits for our donors, please call Katherine Lefever at 503-802-9412. Discounts below are current as of June 2017. 10% off any single ticket. Call box office 503-241-1278. $2 off breakfast (6-11am) or lunch (11-3pm), Mon-Thur. 503-654-3215. $3 off single adult tickets. 503-488-3834. 10% off tickets to any one of the Classic, Not So Classic or Vocal Arts series concerts (based on availability). 503-224-9842. 15% off at North Portland location, 2710 N. Killingsworth St, 503-278-3050. $1.00 off regular admission. 503-228-8131. 2-for-1 tickets to the annual Young Artist Debut Concert. 503-245-4885 or metroartsinc.org. $5.00 off a massage session, by appointment only. 503-927-8559. 10% off all regularly priced classical CDs, DVDs and LPs (valid in-store only). 503-231-8926. 10% off opening-night performances. Call or visit the OBT Box Office, M-F 9-5, at 818 SE Sixth Ave, Portland, 503-2-BALLET (503-222-5538). $5.00 off any A or B level concert ticket, limit 4 per order. Purchase in advance by phone at 503-230-0652. 2-for-1 tickets to any of the season concerts. 503-901-4505. $5.00 off single tickets. 503-234-4077. Mention All Classical and receive 10% off any Fri. evening or Sun. matinee performance at the Keller Auditorium. Only available through Box Office at 503-241-1802. Not valid with other offers, or on previously purchased tickets. Select seating areas. Additional restrictions may apply. 2-for-1 tickets. Call 503-223-1217 for a discount code. (formerly the Pacific Crest Wind Symphony) 2-for-1 tickets. 503-285-7621. 2-for-1 adult orchestra-level tickets. 503-223-5939. $5 off single tickets at door. 503-331-0301. 2-for-1 on single tickets. Visit www.vancouversymphony.org. 360-735-7278. Sound good? Make your gift today.